I don't care who you hire, or what the company has to pay him … so long as he's the best there is. Dean Milo was a phenomenally successful businessman who had built a tiny family business into a 50 million-a-year corporation. Along the way he had established a lengthy list of enemies that began with his immediate family and stretched throughout the social and business community. His fast-track ride to the top came to a violent halt on August 11, 1980, when Milo was found dead in his luxurious Ohio home, shot twice in the head. A blank telegram form lay nearby. 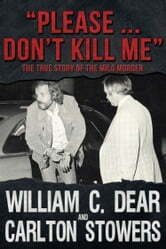 Books related to "Please … Don't Kill Me"